Randy Singer, leader of the 9.000+ member strong MacAttorney User Group, co-author of multiple editions of the well-loved Macintosh Bible, author of the ABA’s The Macintosh Software Guide for the Law Office, writer of the MacAttorney Newsletter, and popular presenter recently posted an interesting article discussing Free or Inexpensive Macintosh Software. If you aren’t subscribing to Randy’s Newsletter, you are missing out on some great ideas. 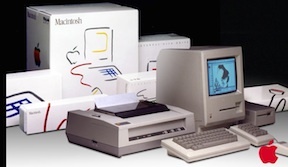 January 24,1984 holds a special place in the hearts of Mac user groups: Steve Jobs introduced the Macintosh personal computer at Apple’s annual shareholder meeting and truly changed history. Although the meeting was held almost 34 years ago, sometimes it seems like it was just yesterday…. 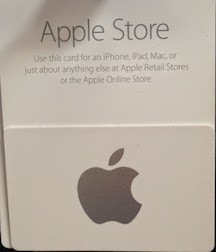 Apple Store gift cards can only be used for purchases from an Apple Store, purchases made from Apple.com, or by calling 1-800-MY-APPLE. 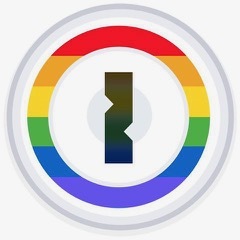 They can be used to purchase hardware and accessories. You cannot use an Apple Store card for iTunes purchases. You do not need an Apple ID to use an Apple Store gift card. App Store and iTunes cards can be used for downloadable purchases, including the over 50 million songs, millions of apps, books, TV shows, and movies on iTunes. The value can also be used for in-app purchases. 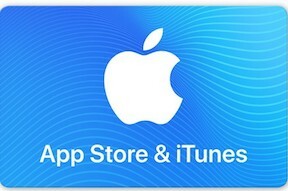 You must have an Apple ID to use an App Store and iTunes gift card because the value of the card is, when cashed, applied to your Apple ID account.